There's a reason why Naples is called the "Crown Jewel of Southwest Florida." Perhaps it's the miles of powdery white beaches, the non-stop ocean views and glorious sunsets, or maybe the accessibility to dozens of world-class golf courses. It's hard to say, but one thing is for certain, once you experience this "jewel", you'll never want to leave. 1. The beaches. Seven miles of white sandy beaches along the Gulf of Mexico make Naples' beaches some of the best in the world. Choose a public beach park, or find your own secluded stretch of paradise, spread out a blanket and watch the dolphins swim by. 2. Attractions. Naples has close proximity to dozens of local attractions. You could spend the next year getting acquainted with the different sights and sounds Naples has to offer and still not see everything. 3. The Wildlife. 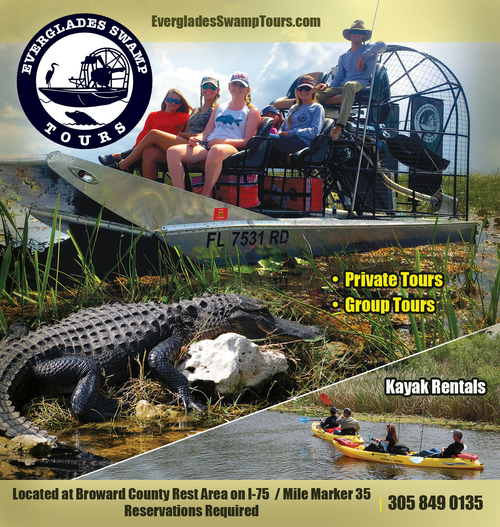 The Everglades and 10,000 Islands provide endless opportunities for bird watching and wildlife viewing via hiking trails, canoe, or kayak. Get up close and personal with dolphins, alligators, manatees, and dozens of species of birds. A trip to the Naples Zoo at Caribbean Gardens provides a unique opportunity to view exotic animals in a historic garden setting. 4. The Golf. Naples has over 35 golf courses, all only minutes away. In fact some of the most beautiful homes in Naples are located alongside sprawling fairways, just waiting to be played. Choose from private or public courses with some of the best instructors available. The best part, most courses are open 365 days of the year. 5. The Shopping! Once you've experienced the shopping scene in Naples, you'll never crave Rodeo Drive again. Stroll along Fifth Avenue and Third Street South to experience the one-of-a-kind boutiques, galleries and clothing shops. For upscale designer goods, visit Waterside Shops or Venetian Bay. If you're looking for bargains, Prime Outlets with over 40 stores is sure to fit the bill. 6. Art & Culture. Most people don't think of Naples as an outlet for the arts, but that couldn't be further from the truth. In fact, American Style Magazine named Naples one of the top 25 Arts Destinations in the U.S.
Visit downtown Naples to view local and international works of art at the Naples Museum of Art, or over 90 local galleries. The upcoming Children's Museum of Naples will feature hands-on exhibits illustrating everything from a "Journey Through the Everglades" to an adventure at the beach. For music, the Philharmonic Center for the Arts is a world class concert venue, and the city hosts numerous events and art festivals throughout the year.